The Stena Line ferry from Harwich International Port to the Hook of Holland is the most direct route to Holland from the south of England. Travel in luxury onboard one of the brand new Superferries sailing direct to Holland. Stena Hollandica & Stena Britannica. The Harwich – Hook of Holland timetable has two crossings so that you can choose between day and overnight sailings. Fares to Holland start from £49 single for a car and driver or just £49 single for a dutchflyer rail and sail ticket to and Dutch rail station. Children who go camping do better at school! That’s the finding of a UK study carried out by the Institute of Education at Plymouth University and The Camping and Caravanning Club, who collaborated to discover perceptions of the relationship between education and camping. The research led by Sue Waite, Associate Professor at the Plymouth Institute of Education, found that more than 4 out of 5 parents thought camping had a positive effect on their children’s school education. A representative collection of objects, photographs and pictures illustrative of the social and economic history of the town and its immediate surroundings over the past 700 years. Built originally as a Napoleonic Fort in the early 19th century the tower now acts as a central hub for the local community & visitors. There are regular arts & heritage exhibitions, talks & events. An important part of Colchester’s rich history with three centuries of fascinating toys, costume and decorative arts displayed in an attractive Georgian town house from 1718. Discover and interesting ‘hands-on’ perspective on the local natural environment from the Ice Age right up to today. Explore the garden trail and stag beetle exhibition, free entry. Explore the life and work of renown British artist Sir Alfred Munnings (1878-1959) in his former home and studio. Tiptree is the home of the Wilkin family – where from 1885 the first Tiptree jam was made. Delightful museum, tea room and gift shop. Museum contains the last Clacton off-shore. Oakley Class Lifeboat 34ft and a history of the lifeboat service in Harwich. Exhibits of Mersea’s social history, natural history, archaeology and fishing industry, including a fisherman’s cottage display. Special exhibitions and gift shop. Come an visit Grange Farm Campsite in Thorpe Le Soken, for a camping experience close to the sea, Clacton just 10 minutes away, Colchester just 25 minutes away, jump on the train from Thorpe Le Soken and be in London within 1 hour, try Harrys Bar for a drink and some nice food, drive to Harwich and observe Felixstowe Docks across the water or jump on the foot ferry to have a real close up, visit Colchester Zoo, play golf or tennis at Frinton On Sea, try sea fishing at Walton On The Naze, take the children to Clacton Pier, pop to Tescos for your BBQ food, enjoy our fantastic sun sets whilst listening to the birds, take the wife to the Lifehouse Spa across the road or if she prefers a little shopping try Clacton Shopping Village? If you struggle with reversing your caravan or trailer tent have a read of this rather helpful article ………. 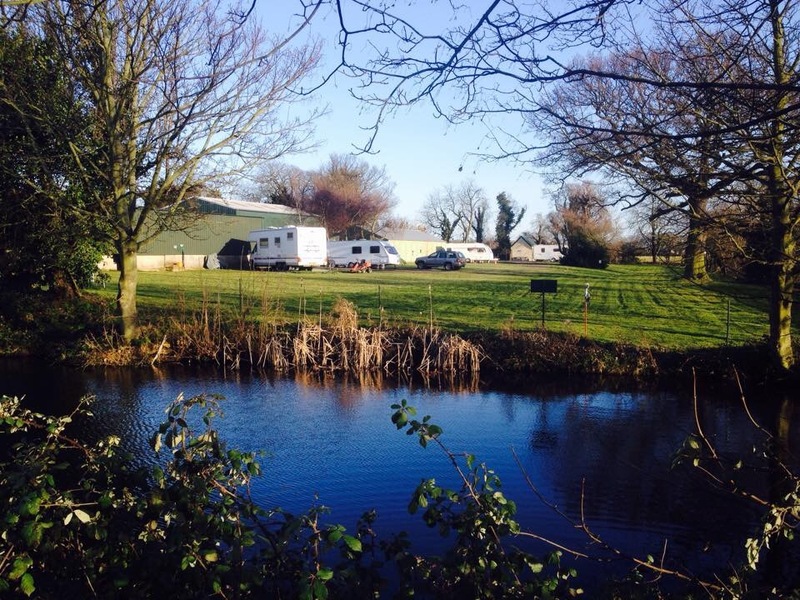 Although it’s within ten minutes’ drive from the coast at Clacton, Frinton-on-Sea and Walton-on-the-Naze, the atmos at popular Grange Farm is all pretty peaceful, set deep in the Essex countryside with room galore for pitches. Horse-riding is a canterable mile away; and tennis courts, a golf course and a heated indoor pool four miles away – just in case you don’t fancy braving Essex sea waters before summer. Walkies abound from Thorpe-le-Soken village through the rural surroundings: to the coast, to Landermere, to Beaumont Quay, to Holland Haven Country Park; for the uninitiated, to the village fish and chip shop… Speaking of fish and chips (always), a chippy, takeaways, three restaurants (Chinese, Indian, Italian), three pubs, a petrol station and a Tesco Express are at the village; all three pubs dish up nosh. Facilities on site at Grange Farm Campsite – showers, loos, chemical disposal point – are basic but kept very clean; the loo and shower block was refurbished in 2014. There’s no laundry block on site, but a launderette is three miles away. Barbecues are allowed on site and dogs are welcome. Birdwatching and beaches, seaside towns, coastal constitutions and the city of Colchester are all close to hand from Grange Farm Campsite – if you should tire of these (tsk), Orford and the Suffolk Heritage Coast await you a little further north. The sands of Holland-on-Sea are four miles from the farm and are quieter than the main Essex seaside towns of Clacton-on-Sea, Frinton-on-Sea and Southend-on-Sea: like most of the surrounding countryside, this is birdwatching land to have twitchers all of a-flutter. Holland Haven Country Park between Clacton and Frinton covers over 100 acres of coastal birdwatching landscape to spy migrant birds, sandpipers, warblers and the like; elsewhere, several nature reserves are around for nature ramblers including Great Holland Pits, Soken Woods, The Naze at Walton-on-the-Naze, Howlands Marsh at St Osyth and the RSPB Stour Estuary reserve at Wrabness. The Tendring Peninsula’s biggest town is Clacton-on-Sea and hums with visitors in the summer months, who come to amuse themselves at the arcade, SeaQuarium and funfair on the pier. Boat trips depart from the pier for scenic sailings along the Thames, and many a day tripper settles down with fishing rod on Clacton Pier to hook whiting and bass – get a day fishing ticket from the office at the pier car park. The 2014 event saw record crowds of around 200,000 who came to support the event over two sunny days! The 2014 flight line up alone wowed the crowds and included a memorable display from the Battle of Britain Memorial Flight and Canadian Lancaster which was thrilling, unforgettable and emotional and certainly a “once in a lifetime event”. Fabulous displays took to the skies such as the Vulcan as well as the world famous Red Arrows and a special appearance both days by the Typhoon! The 2015 event will see 24 fabulous years of the annual Clacton Airshow based in the stunning Tendring District along the award winning Essex Sunshine CoastThe event organised by Tendring District Council, is a well established FREEevent and promises to “wow the crowds”. We will also see a much welcome return of Titan the Robot who is back this year by popular demand! Our award winning seafronts and west greensward are transformed over the two days into a fun filled event site and viewing area. Impressive aerobatic displays take to the skies whilst a whole host of exhibition, trade stands, food court and on-site entertainment are available at ground level. In addition to this year’s Airshow, continuing with the thrill of the event into the bank holiday weekend the Clacton food and drink festival will take place on Saturday 29th & Sunday 30th August on the same site located on the stunning West Greensward! For more information log on to Food & Drink Festivals UK.